Designed by Kerstin H. Holmquist in 1958 for Nordiska Kompaniet, NK, the Paradiset sofa by Gubi is characterised by an elegant and organic silhouette. 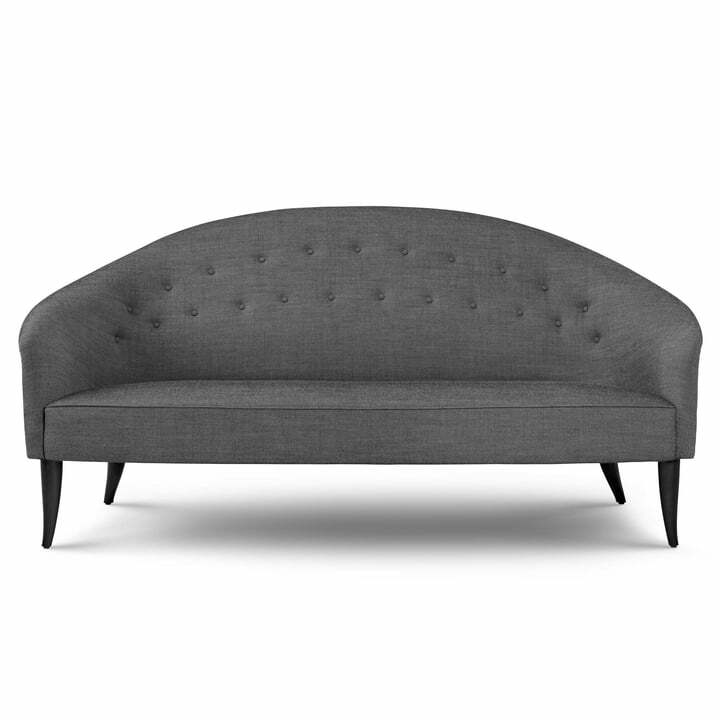 The sofa was inspired by "Paradiset", the Swedish word for Eden or paradise. 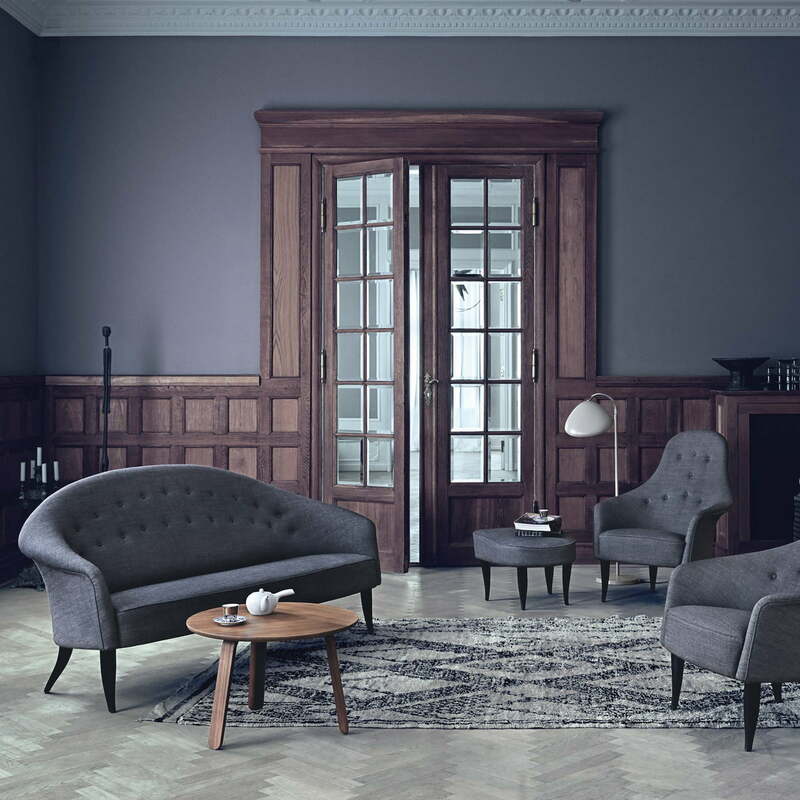 The sofa consists of a frame - made of either oak, walnut or black stained beech, four legs and lush upholstery with covers in different fabrics and colours. 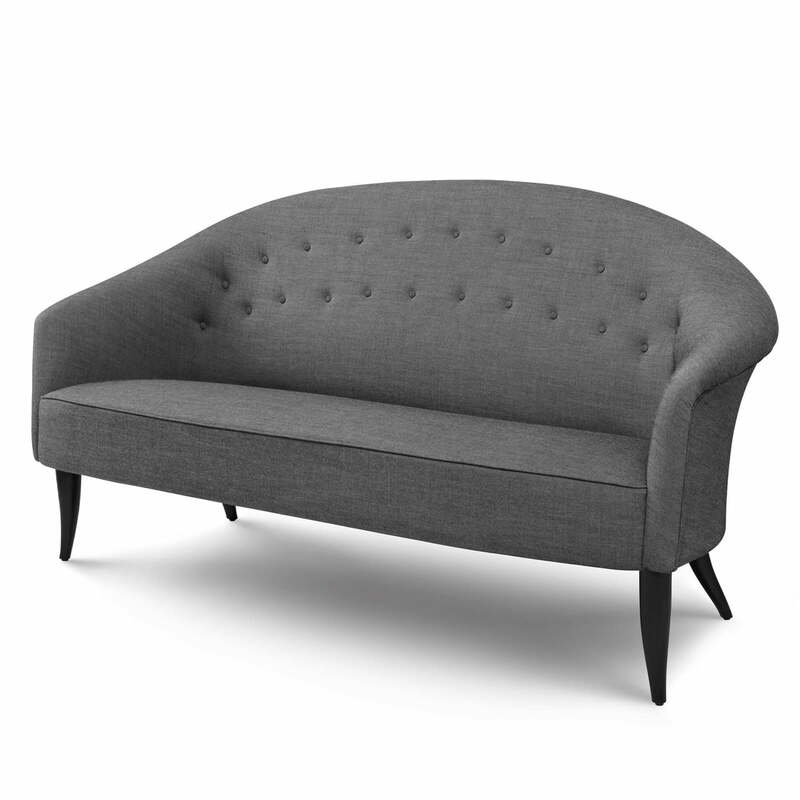 While the soft lines of the sofa give it sofa a more classic look, the rejuvenated and curved legs introduce a fresh feature. The mix of classic and modern elements makes the sofa versatile and adapts to virtually any interior. Even in hotel lobbies or entrance halls of public buildings, the sofa for up to 3 people becomes a real eye-catcher. The sofa is available in various colours and materials. Isolated product image: Designed by Kerstin H. Holmquist in 1958 for Nordiska Kompaniet, NK, the Paradiset sofa by Gubi is characterised with an elegant and organic shape. The Paradiset sofa along with the TS coffee table by Garner in the living room. The classic sofa creates an interesting ensemble combined with the modern coffee table. The mix of classic and modern elements makes the sofa flexible and adapts to virtually any interior. Even in hotel lobbies or entrance halls of public buildings, the sofa can become a real eye-catcher.